According to the American Dental Association, more than 2 million teeth are knocked out each year due to sports-related injuries; however, approximately 200,000 high-school and college athletes use mouthguards to avoid such injuries. 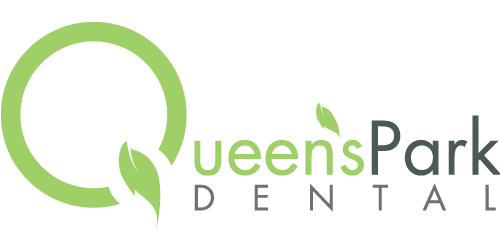 To protect your mouth while you’re on the field or on the ice, talk to Dr. Murphy or Dr. Salima Shivji at Queen’s Park Dental about having a custom athletic mouthguard made for you. It is advisable to wear a mouthguard anytime there is a strong chance for contact with other participants or with hard surfaces. The National Youth Sports Foundation for the Prevention of Athletic Injuries, Inc. reports that dental injuries are the most common type of orofacial injury sustained during sports-related activities. 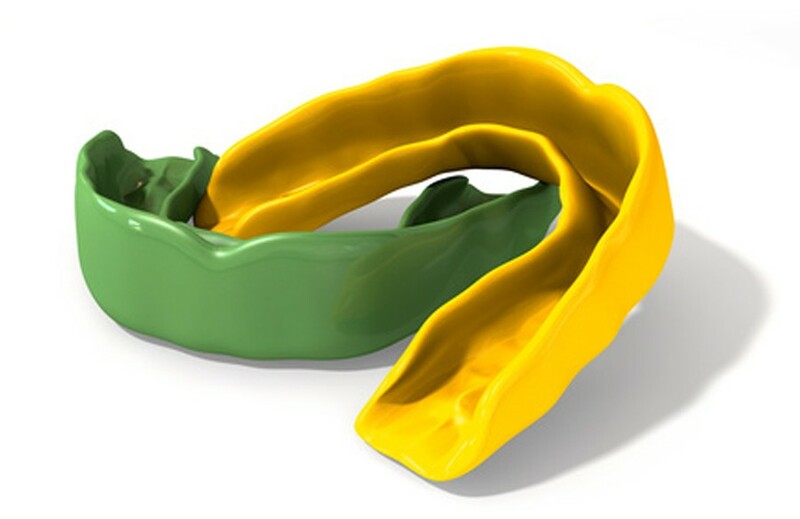 Mouthguards should be worn when participating in activities such as basketball, softball, football, hockey, wrestling, soccer, lacrosse, rugby, in-line skating, martial arts, skateboarding, and bicycling. 1) Stock mouthguard: This least expensive option is a ready-made stock item, which offers the least protection since little can be done to adjust its fit. This type of mouthguard requires the user to close the jaw to hold it in place; as a result, it may interfere with speech and breathing. It also may lead to soreness of the muscles of the jaw. A stock mouthguard is not considered an acceptable device for facial protection. 2) Mouth-formed mouthguard: There are two types of mouthformed mouthguards. The first is a shell-liner mouthguard that is made from an acrylic material that is poured into an outershell, where it forms a lining. When placed in an athlete’s mouth, the lining material molds to the teeth and is allowed to set. The second type is a thermoplastic (also known as a “boiland-bite”) mouthguard. This type of mouthguard is softened in hot water, placed in the mouth, and shaped around the teeth by using a finger or tongue and sometimes biting pressure. This type of mouthguard can provide some degree of protection, but usually it will be bulky and have a loose fit. 3) Custom-made mouthguard: The best choice is a mouthguard that is custom-made by your dentist. It offers the best protection, fit, and comfort level because it is made from a model of your teeth. Before storing your mouthguard, soak it in denture cleaner or a diluted mixture of bleach (one teaspoon bleach in 8 ounces of water; soak for 30 minutes, then rinse). Keep your mouthguard in a well-ventilated, plastic storage container when you are not using it. Make sure the container has several holes in it so that the mouthguard will dry after you wash it. Protect the mouthguard from high temperatures caused by hot water, hot surfaces, or direct sunlight to minimize distortion of its shape. Check the mouthguard for general wear. If you find holes or tears in it—or if it becomes loose or causes discomfort—replace it. Bring the mouthguard to each regularly scheduled dental visit so that Dr. Darcy Murphy or Dr Salima Shivji can examine it. For more information about mouthguards, call us at Queen’s Park Dental.